AUGUST 24, 2007: The phones in the Association’s Boston office have been ringing white hot with calls from retirees who are outraged by the refusal of Senator John Kerry to hold a public hearing on the Windfall Elimination Provision (WEP) and Government Pension Offset (GPO), as we reported in the September Voice. Many members have notified the Association that they contacted the Senator’s office to express their concern and repeated our request for a public hearing. SEPT 2007 - Members of the State and Teachersâ€™ Retirement Systems, as well as those of our 104 local retirement systems, received their new 3% cost-of-living increase this July. Sept 2007 - Spells Out Need - In sharp contrast to the position taken in the U.S. Senate, where a 2007 hearing on Social Security has been all but ruled out, leaders in the House of Representatives are not shying away from addressing the dreaded Social Security offset laws. Advancing the prospect of full hearings in the House on the Windfall Elimination Provision (WEP) and the Government Pension Offset (GPO) is House Ways and Chairman Charles Rangel. The powerful New York Democrat has publicly called for hearings to take place, during the current Congressional session, on the issue. 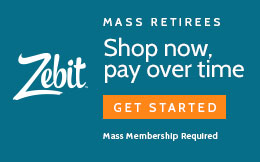 AUGUST 1, 2007: Once again, we are pleased to announce that members retired from each of the 106 retirement systems across Massachusetts did receive a 2007 COLA in their July pension check. The full 3% COLA was approved by each of the 104 local retirement boards for local retirees, as well as by the state legislature for state and teacher retirees. July 2, 2007: After years of negotiations, involving our Association, both the House and Senate have enacted legislation that will allow municipalities to join the state health insurance program, administered by the Group Insurance Commission (GIC). “We believe that once it’s enacted, the GIC Municipal Health Insurance Law will offer a viable option to local retirees, unions and officials as they attempt to solve the ever-increasing costs of healthcare,” states Legislative Chairman Bill Hill. 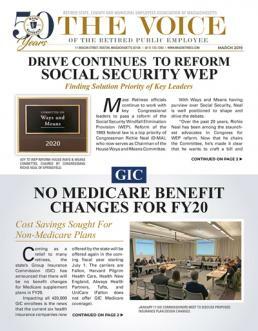 Retirees, enrolled in Medicare Part B, saved the stateâ€™s Group Insurance Commission (GIC) nearly $400 million in FY06. With the average cost of non-Medicare retirees coming in at nearly four times higher than Medicare enrollees, the stateâ€™s mandatory-Medicare policy continues to be a windfall for the Commonwealthâ€¦but at what cost to retirees? Our answer: The state is cheating retirees by not paying a dime toward a major portion of their insurance costs, namely the Part B premium. Nearly five years have now passed since then-Acting Governor Jane Swift eliminated the stateâ€™s Medicare Part B reimbursement with the stroke of her pen. As a result, members, insured under the stateâ€™s Group Insurance Commission (GIC), are forced to pay 100% of the Medicare Part B premium out of their own pockets. 2007 JULY - As the new chairman of the US Senateâ€™s Subcommittee on Social Security, Bay State Senator John Kerry now finds himself in a pivotal role in the debate over the future of the federal retirement program. 2007 JULY - $16,000 Base Would Be Indexed - In a bold move, the Joint Committee on Public Service favorably reported the Associationâ€™s marquis bill, raising the COLA base, to the Senate on May 14.The bill, now S2234, not only raises the COLA base for state and teacher retirees to $16,000, but also allows local retirement systems to increase the COLA base to any level above the current $12,000 by allowing for adjustments in the long-term pension funding schedules. Senator Michael Knapik (R-Westfield) on behalf of our Association. base in future years, the base for the July 2007 COLA remains at $12,000. approved the Association’s centerpiece legislation, raising the COLA Base. $12,000, through adjustments in their pension funding schedules. adoption of the 2007 COLA. are now being closely considered. (COLA) for 2007. By law, the approved increase would take effect on July 1.
increase or paid below 3%. Currently, fifty-two local systems havre approved a full 3% COLA for FY08. None have rejected or lowered the percentage. Elimination Provision (WEP) and the Government Pension Offset (GPO) laws. H.R. WEP/GPO Repeal bill in the US Senate, has 14 cosponsors. "Recently CARE, the Coalition to Assure Retirement Equity, to which our Association has belonged for several years, met to map out strategy on the WEP and GPO for this year," according to Legislative Chairman Bill Hill. "A consensus was reached among those, attending this meeting, that the coalition's focus would be on the House and its Ways and Means Committee. With a majority in the House supporting H.R. 82, this is the best strategy at this time." Security offset laws is off to a fast start in the 110th Congress. McGovern, and Tierney have signed onto the bill. promoted to chair the Subcommittee on Select Revenue Measures. In the US Senate, Diane Feinstein (D-CA) has reintroduced her bill that would also repeal the WEP/GPO. S 206 now has five Senate cosponsors, including Susan Collins and Olympia Snowe of Maine. MA Senators Ted Kennedy and John Kerry are expected to sign onto the bill in the near future. December 26, 2006: In a surprise veto, Governor Mitt Romney rejected H263 and returned it to the Legislature on December 22. Romney's veto message said: "This legislation allows an individual under section 91 of chapter 32 of the General Laws, as appearing in the 2004 Official Edition, to earn $15,000 more than the salary of the position from which the person was retired or was terminated.